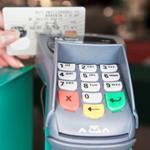 There are literally thousands of different devices that are used to take credit card payments. With the advent of the smartphone and mobile technology new ways of taking credit cards are emerging every day. From a very general standpoint, listed below are the three major device categories. 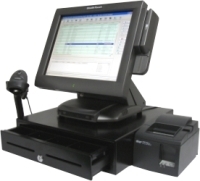 The oldest and most common solution in a retail environment is the dedicated standalone terminal. These hardware devices are durable and relatively inexpensive and thus they are still the most popular device for business that take face-to-face, card present transactions. This is also a common device used by mobile and telephone order merchants, but is quickly being replaced in those environments for better options. However because a dedicated standalone terminal can only process credit cards and for security reasons typically do not integrate easily with additional software, they are limited. The merchant lacks the ability to store important data such as inventory levels and customer info, which must be stored with a separate tool if kept track of at all. The online or internet gateway has risen immensely in popularity over the last few years. This is in part due to the need for online gateways to work with a shopping cart for ecommerce transactions. The larger reason for the rise in use however is due to the emergence of virtual terminals and (app based) mobile processing. Both virtual terminals and mobile apps typically use online gateways such as Auth.net to transmit credit card information securely. 3rd party applications and developers have used previously complex integration and encrypted code to create easy and friendly user interfaces. Previously this technology was only utilized in the ecommerce setting for integration into shopping carts. However the increased use of mobile smartphones opened up for processing mobile. The benefits of an online or internet gateway are that software updates are seamless and hardware costs are low. The addition of a USB or phone compatible swiper also gives the user access to card present rates. The limitation is that access to the internet is required. Even if a merchant has a traditional terminal and has no need for processing mobile, having a virtual terminal back-up is a good idea in case the hardware ever fails. Integrated software and hardware solutions have been around as long as dedicated standalone terminals and make use of hardware (typically a PC) and peripherals such as receipt printers, USB magswipers and barcode scanners. This hardware works in concert with a software program designed not only to process credit cards but also to track additional data such us customer information, inventory and more. 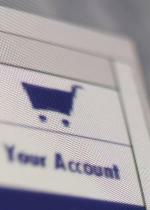 These are critical elements for large retailers and business that require seamless tracking of data at the point of purchase. This solution also frequently comes with a touch screen interface which is a necessity for fast paced restaurants, bars and night clubs. As technology has improved, traditional siloed solutions have become obsolete as more integrated solutions offering more flexibility, efficiency and effectiveness. A good example is with Intuit, who offers processing along with desktop, mobile and ecommerce solutions. Intuit allows the merchant to integrate all of these solutions into one account for fast and easy tracking and integration. 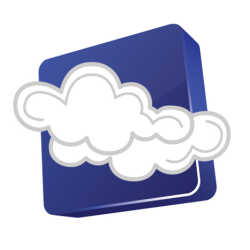 Coupled with Intuit’s accounting software Quickbooks, it makes for a powerful cohesive solution.